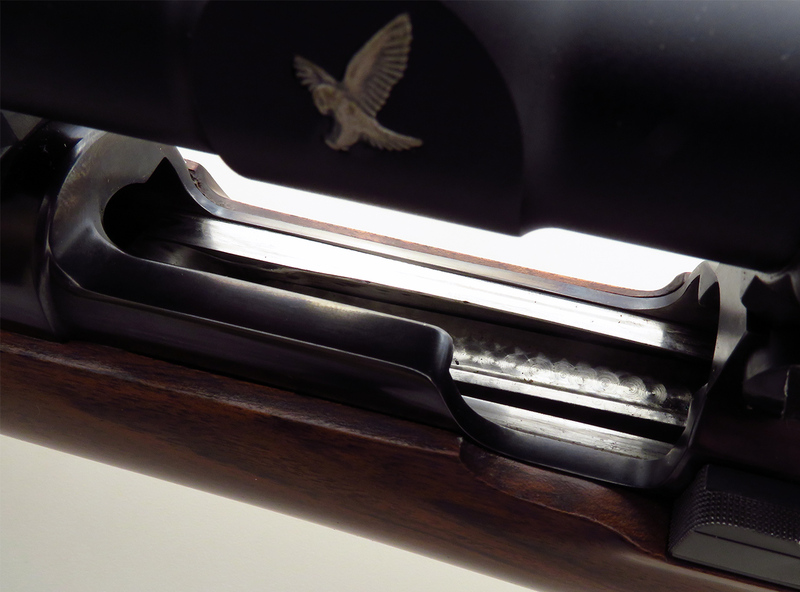 Rigby (London) Mauser Model 98 6.5x55mm magazine rifle, Swarovski, virtually new, originates from the collection of former Rigby owner - Sportsman's Legacy, Fine firearms, related books and sporting collectibles. Representing estates, collectors and nonprofit conservation organizations. 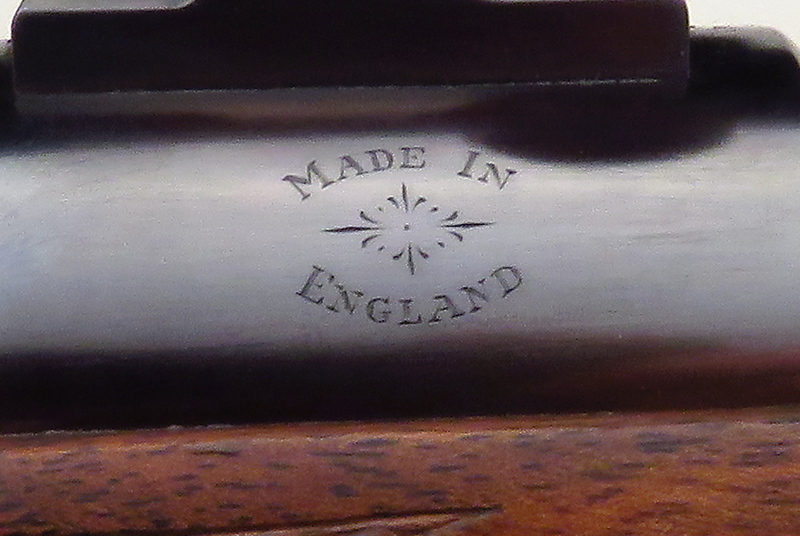 John Rigby & Co., London, 6.5x55mm on a much-refined Mauser Model 98. 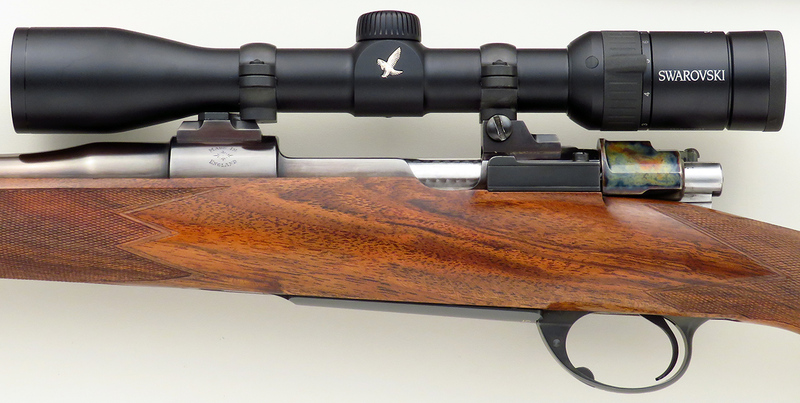 From the collection of a former Rigby owner, serial number 10337 is the very definition of perfection in a magazine rifle. Features include a 24-inch barrel, painstakingly smoothed action with jeweled bolt body/extractor/follower, custom steel bases, color case ERA three-position wing safety with secondary locking button, tuned trigger, custom bolt knob with twin checkered and bordered teardrop panels, 26 lines-per-inch bordered wrap-around checkering, pancake cheekpiece with shadow line, steel grip cap and inletted sling swivel studs. 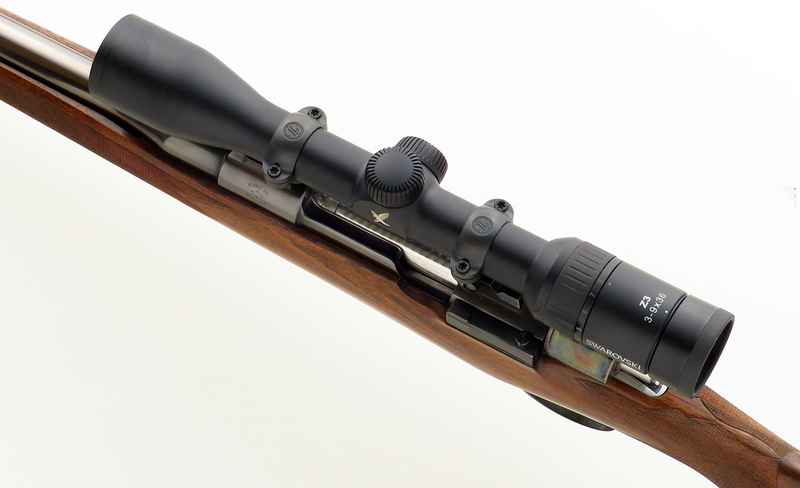 Also included is a Swarovski Z3 3-9x36mm scope with plex reticle. ENGRAVING: “J. Rigby & Co. London. England.” appears on top of the barrel in elegant script. 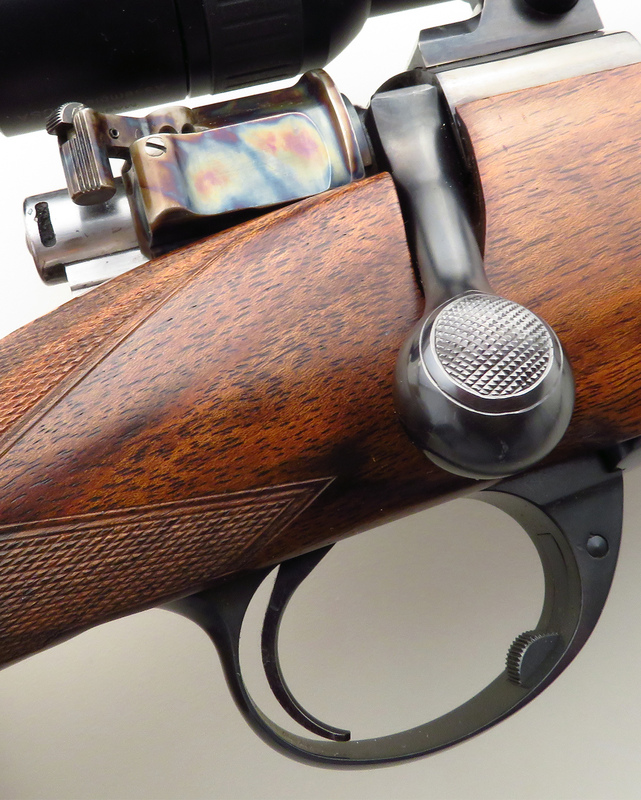 “Cal 6.5×55” is on the floorplate and the serial number rides over the curl of the guard, both in gold. “Made In England” and “Cal. 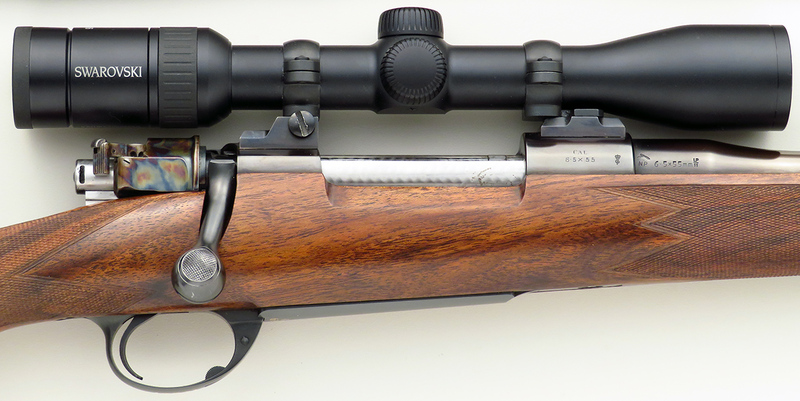 6.5×55” appear on opposite sides of the front receiver ring and “6.5x55mm” is on the base of the barrel. 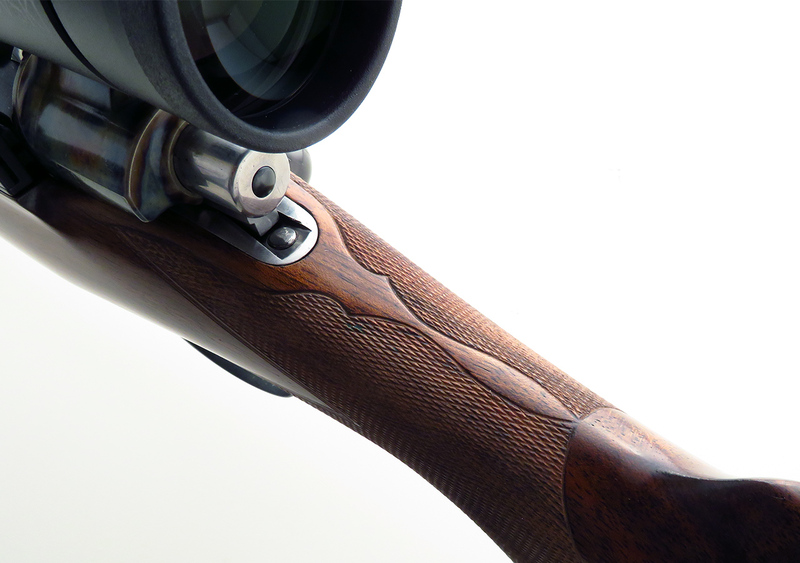 DIMENSIONS: Weight, including scope, is 9.0 pounds. Length-of-pull is 13.5 inches. 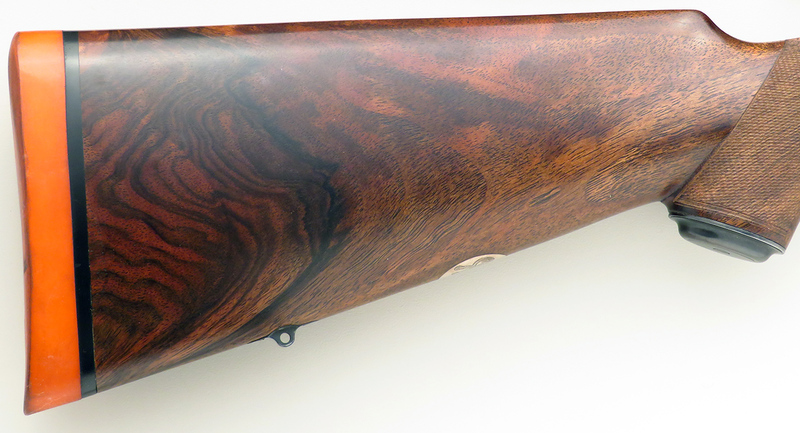 CONDITION: All but pristine and believed fired just three times, the rifle was never hunted. 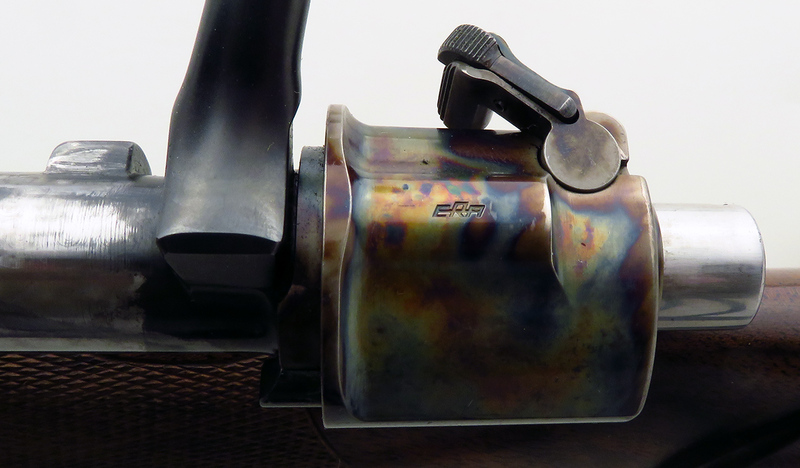 Metal finishes show only the slightest trace of handling. Wood is also nearly perfect, with just a few instances of minor impressions from storage. The scope is also like new.